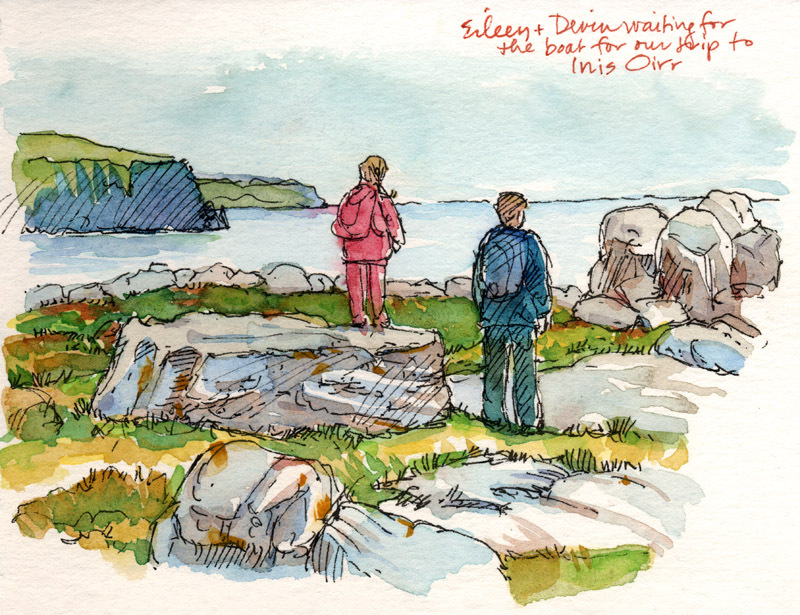 A traditional blessing, along with a page from my Ireland sketchbook. Happy St. Patrick’s Day, everyone. The table is dressed in green, as we will be shortly; a pan of soda bread is about to go into the oven; and the Chieftains, John McCormack, and Tommy O’Sullivan CDs will be a-playin’. What day is it? 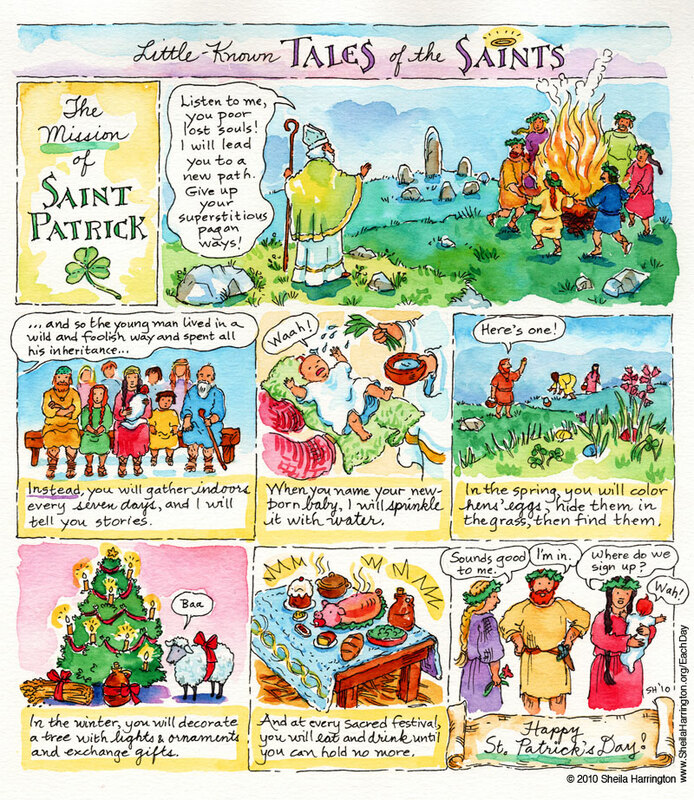 There are probably a dozen St. Ronans, some Irish, some Scottish, all with different feast days. And the one I’m choosing actually had his feast day YESTERDAY, June 1, but that day was taken by John Masefield. So I’m noodging Ronan onto June 2nd. Being saintly, he surely won’t mind. 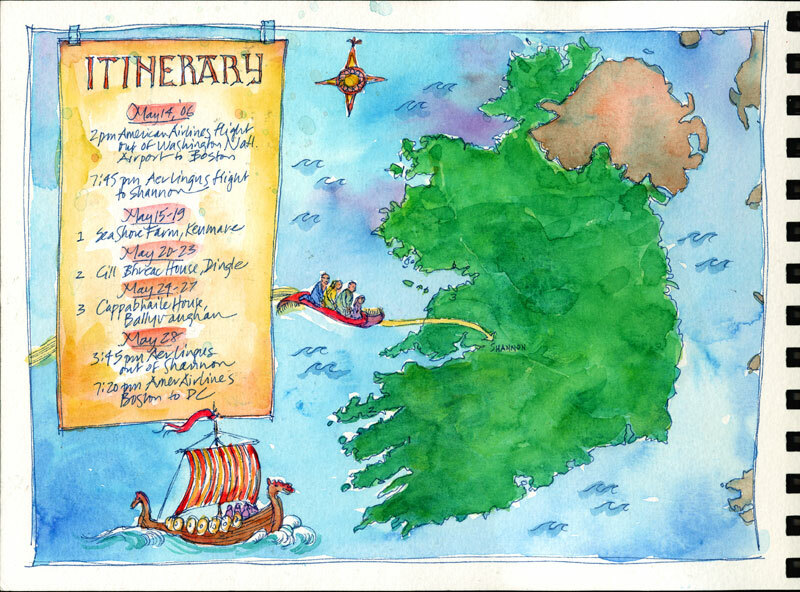 This St. Ronan was an Irish missionary who had left Ireland and lived in a forest overlooking the Bay of Douarnenez in Brittany, a location I would select myself if I were an Irish missionary. The story goes that his wife disliked his proselytizing among their Breton neighbors, so she accused him of being a werewolf. When you want to reform your husband, drastic action is required. 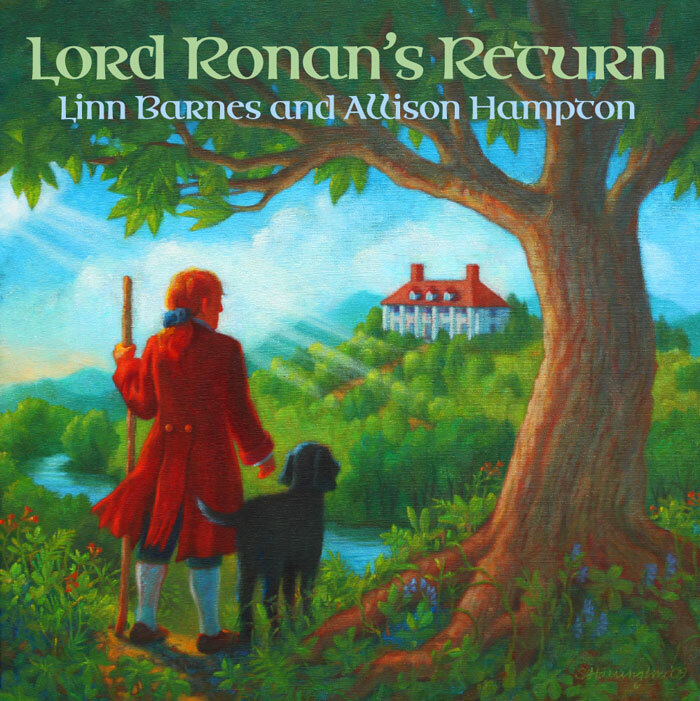 But when Ronan was brought before the authorities, the nearby hunting dogs failed to attack him, thus proving his innocence. He went on to become a wandering healer of the sick and was buried in what is now Locronan. 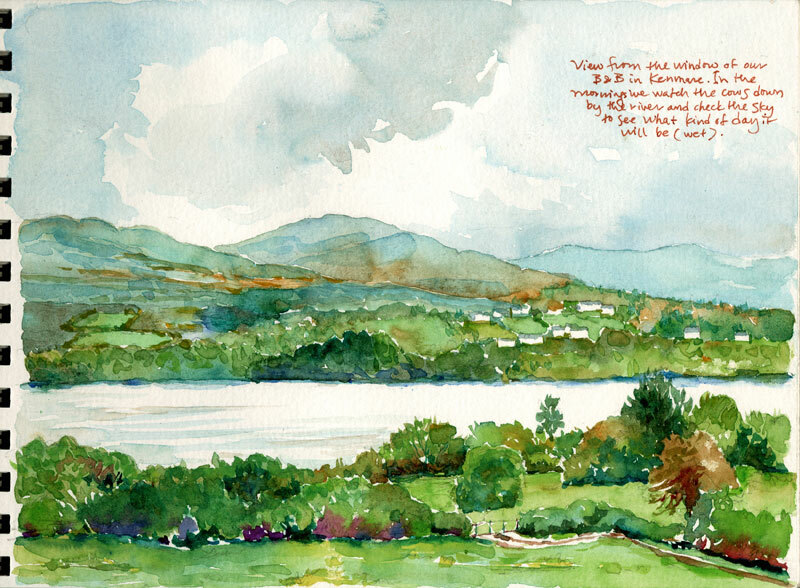 In honor of his birthday today, a poem by Thomas Moore (1779-1852), and a painting. My husband has a widget on his desktop with which he tracks the weather in his favorite places. Orcas Island, in Washington state. Montpelier, Vermont. Paris, France. And Dublin, Ireland, where for the last couple of weeks it’s been sunny, with a high in the low 70s. 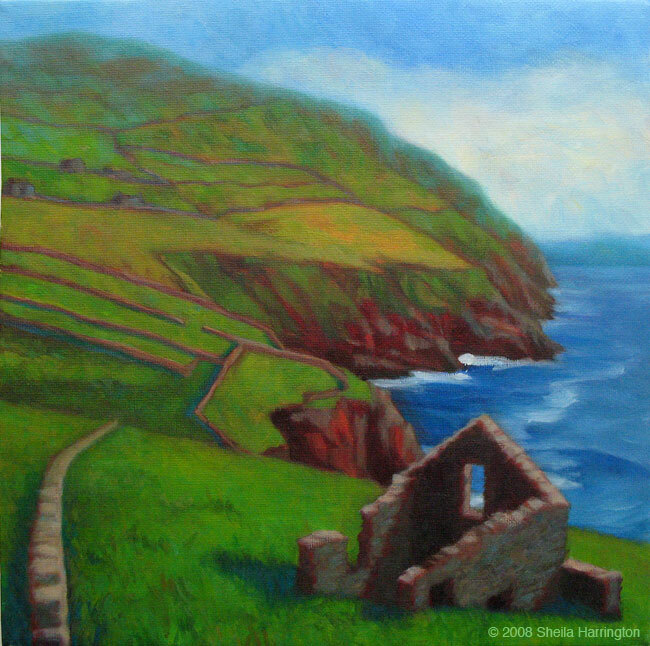 The weather we experienced in Ireland was more like this (above). Beautiful, but “soft.” As they say, there is no bad weather; only the wrong clothes. 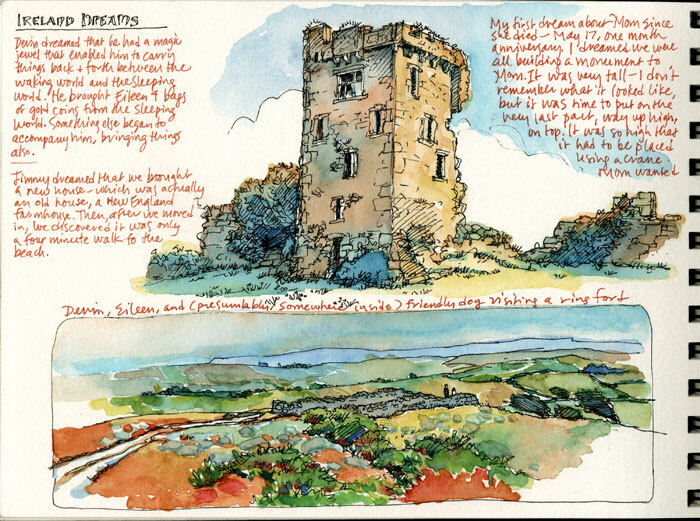 Thanks to my tech-savvy son, my Ireland sketchbook is now up on my website. This is the first page, and you can look at the rest here. 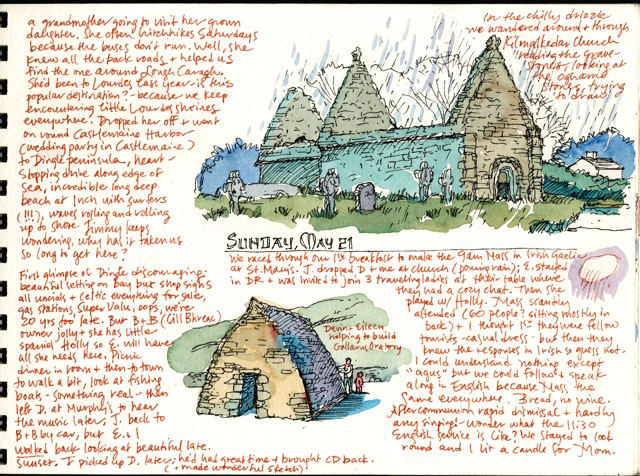 I hope it will be followed by other sketchbooks soon. Click twice to see it full-size. 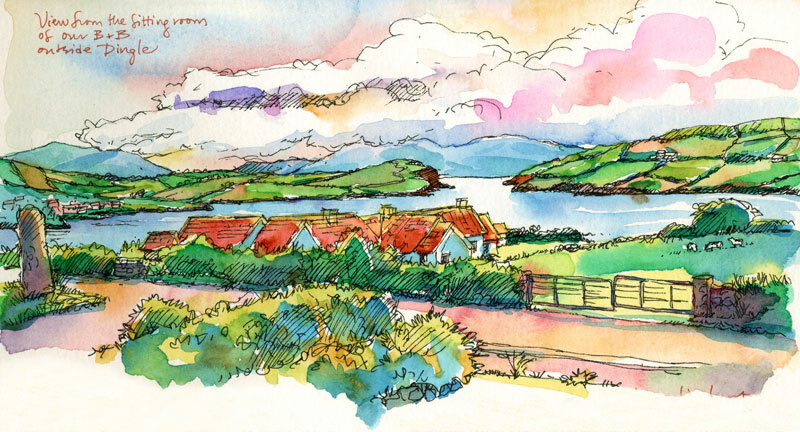 Another page from my Ireland sketchbook, soon to go up on the website.